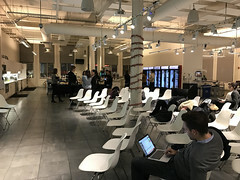 Kyle Henderson, CEO and Co-Founder at YouEye, is presenting tonight at Startup Product Talks Meetup at Atlassian in San Francisco. This entry was posted in Industry News and tagged YouEye. FOR IMMEDIATE RELEASE: PALO ALTO, Calif. (April 1, 2013) — Blueseed, the ambitious venture that has been working on launching a ship for startup entrepreneurs in international waters off the coast of Silicon Valley, has finally set sail. Interesting that they release this press on April first…! Blueseed is a startup community located on a ship 12 miles off the shore of Silicon Valley, in international waters outside the jurisdiction of the United States. Future plans for the community include launching a reality show to compete with Shark Tank. Blueseed’s competitive advantage? The sharks are real. It has long been asserted (famously, by Steve Jobs) that customers can’t tell you what your next product should be. Companies create and customers consume. To be competitive, brands need to look outward and cultivate the communities of creative customers that are shaping the future of their products. Developers have been using APIs and open source software for many years to increase the pace of innovation. 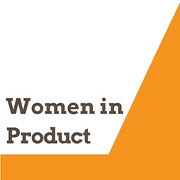 Consumer product companies can mimic these more open systems. 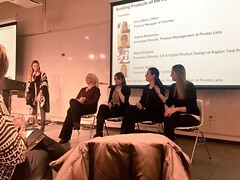 Just look at companies like Sifteo or Lapka that have created physical products connected to software that are designed to be remixed into new applications. People embrace what they influence, so more open and transparent brands will become the most loved and talked about as well. How can you enable customer influence and manage user creativity without losing control and focus on development cycles and roadmap…? Is it possible to nurture creative customer communities in parallel with developer communities? Remember User Groups that had love/hate for the developers? How do you enable creative consumers without canabalizing next versions? What are the most effective tools for managing crowdsourced feedback and ideas that enable more than marketing content and engagement incentives? This entry was posted in APIs, Industry News, Innovation, Reposted Article, Usability Testing, Validation and tagged Steve Jobs.